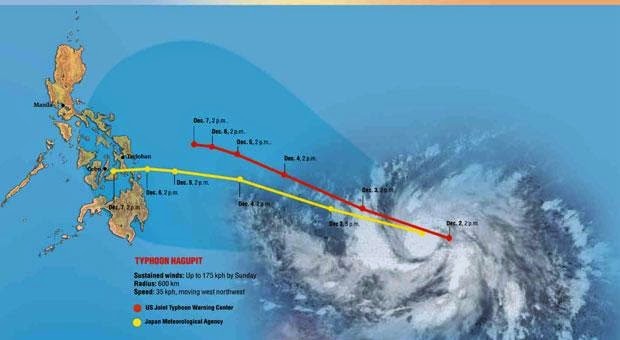 Typhoon Hagupit (also known as Typhoon Ruby) is said to be a super typhoon expected to hit the Philippines within 24 hours. With this, it is advised that those living in Eastern Visayas take necessary measures in preparation for it. The typhoon is expected to hit some of the areas devastated by Typhoon Yolanda about a year ago. Globe Telecom urges its customers to charge their cellphones and other mobile devices, in case the weather anomaly causes extended commercial power failure. The company suggests customers may also opt to buy alternative source of energy such as power banks and rechargeable lamps with USBs. 2. Turn off unnecessary radios such as GPS, blue tooth and Wi-Fi.